This is a guest post from Sanne, owner of sanneleenman.com. I love quark and Greek yogurt, but when she told me she mixed it with avocado, I thought it would be disgusting. It’s not. It’s the bomb. You do need to freeze the avocado in advance, but that’s no problem if you prepare your meals in bulk, as you probably should unless you have time to spare. Divine, simple, healthy high fat soft-serve ”˜ice cream’ with only 3 ingredients and you don’t need a ice cream maker to make it. The secret lies in freezing the avocado before-hand, to give this ice cream its cold, extra creamy and refreshing sorbet-like texture. I know this might sound like a strange combination, but please trust me and give this a try! This recipes works best with a creamy Greek yoghurt or quark. Cottage cheese is hit or miss. Both dairy and avocado consumption are associated with fat loss in epidemiological research. The dairy’s high in protein and calcium. Avocado is rich in fiber, mono-unsaturated fat and vitamin K, which is difficult to consume enough of otherwise without eating green vegetables. Chop the avocado in small pieces and place them in the freezer. 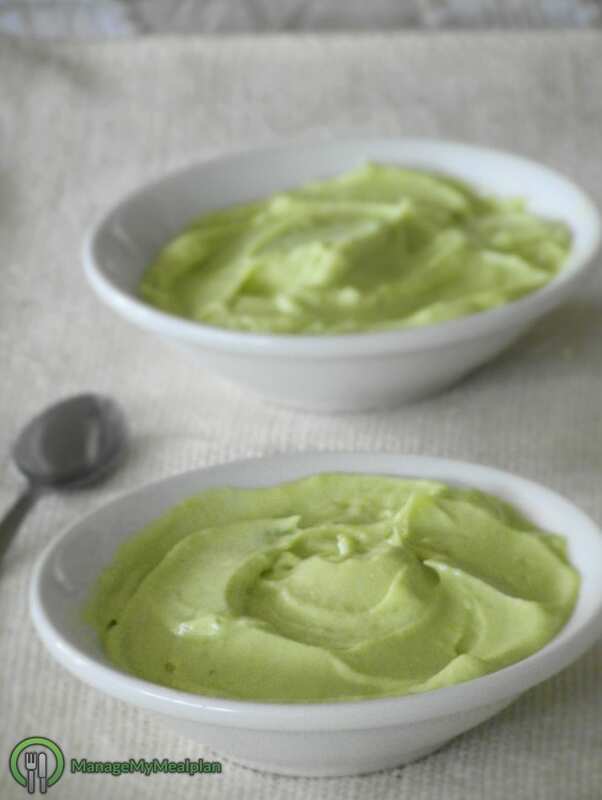 Once completely frozen, throw the avocado pieces in your blender and combine it with the Greek yogurt. Blend well until everything is very smooth and add sweetener to taste. Interested in more recipes from Sanne? Check out her website. Then get our free mini-course on muscle building, fat loss and strength. Formerly a business consultant, I've traded my company car to follow my passion in strength training. 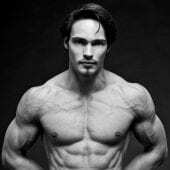 I'm now an online physique coach, scientist and international public speaker with the mission to help serious trainees master their physique.